Annette E. Morton was raised in church as a child, often attending services with family, childhood and teenage friends. During her late teens, she strayed from church influence until she was reintroduced by a family friend who attended the church she formerly attended. As a young adult, Annette deeply felt the emptiness of her life and in March of 1984, gave her life to Christ and joined the Rising Sun Baptist Church of east Baltimore, under the pastoral covering of Pastor Emeritus, James H. Bull. As she grew in her walk with God, Annette’s passion of her new life evolved into a love for studying God's Word and evangelism. She enjoys delving into the Holy Bible's rich spiritual and cultural history while prayerfully seeking God's prophetic revelation and watching it unfold in her generation. With that passion, also came the desire to teach and develop others in their walk with Christ. After ministering God's Word during noon day services at the Leadenhall Baptist Church, and serving as a member of the Rising Sun Missionary Board, visiting the shut-in, teaching Sunday school and Bible Study for various age groups at her church, and acting as assistant to the church clerk, Annette willingly accepted her call to ministry. She ministered her formal initial sermon in May 1996, receiving her minister's license. Her pastor encouraged her to immediately begin ordination training, which she completed in 18 months under the tutelage of her pastor Rev. Bull, Rev. Melvin C. Lee and the late Rev. Vera Bownes. Annette was ordained as an Evangelist in November 1997 along with four other ministers in training before a full Baptist council. Evangelist Annette served as amour bearer for her pastor, the church's clerk and graphic artist, Missionary Board president, and was regularly released by her pastor to travel extensively on the east coast to minister at various indoor and outdoor ministries and officiate funeral services. In 2002, after an approximately 18-year membership at the Rising Sun Baptist Church and at the retirement of her then pastor, Evangelist Annette felt the leading of the Lord to join God's Precepts Ministries, under the leadership of Elder Yardley V. Vann and the covering of Bishop Kevia F. Elliott of The Lord's Church and TLC Ministries in west Baltimore. As part of God's Precepts Ministries, Annette also joined The Travelling Ministers’ Fellowship (TMF) and is an active member, promoting spiritual enrichment, fellowship, and support to traveling ministry leaders as they minister to others. 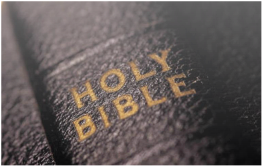 Annette believes the Holy Bible is the infallible, unadulterated Word of God, still relevant in its properly applied context for today's generation. “Evangelist A”, as she’s affectionately called, enjoys traveling to preach, conduct empowerment workshops, teach Bible studies, and host raps sessions to share the Gospel of Jesus Christ. Topic: "Healing - Steps to Completeness & Wholeness"